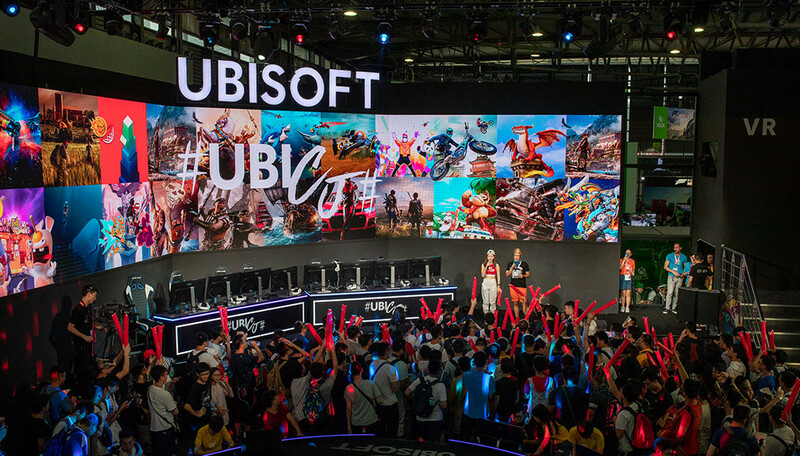 Ubisoft, an industry leader in video games, participated in ChinaJoy for the third year in a row. 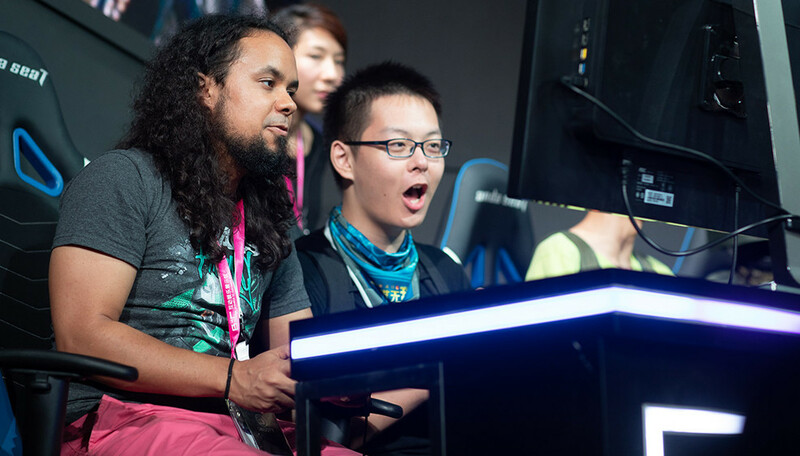 Chinajoy is Asia’s largest video game and digital entertainment fair showcasing 4,000 games from over 30 different markets at a 170,000 sq. m space in Shanghai. Ubisoft was looking to elevate their experience as an exhibitor this year. To stand out and make an impact, the gaming brand needed fresh insight on how to attract visitors and create buzz and awareness for its games and activities. To help Ubisoft achieve its goals, we saw an opportunity to combine our expertise in live performance with online to offline new retail activations. The opportunity lied in leveraging Ubisoft gamers’ passion and loyalty to its games. Hence the “Unlock the Next Level” concept. Using this theme, Ubisoft would unlock never-seen-before experiences from its key game titles like Assassin’s Creed, Raving Rabbids, Just Dance, and more. Ubisoft also unlocked new levels of fan engagement via an innovative live show and streaming experience through social channels, a pure gaming channel live feed, and using cosplayers as influencers. Designing areas for exclusive game previews, we built fan engagement via VR, mobile commerce, and immersive theatre experiences. 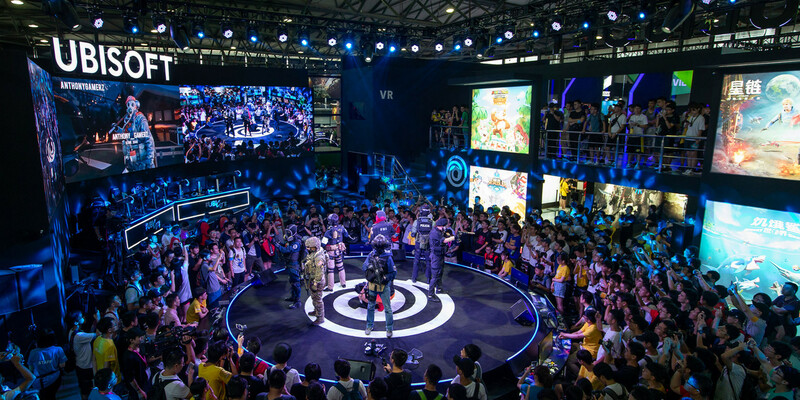 To draw the crowds, our live shows had multiple live streaming via LCD screens in the booth and a live feed to the popular gaming video platform Douyu. Cosplayers were engaged to create pre-event social buzz and participation in the live shows through social media. The pop-up store was the designated exit for the Ubisoft booth where the energized fan base was encouraged to purchase items via Ubisoft’s WeChat mini app. Over 4 days, Ubisoft welcomed an astonishing 37,100 visitors in its experience zone. On the first day, The brand's live video (streamed via Douyu, China’s streaming video platform for gaming) captured a staggering 820,000 viewers. 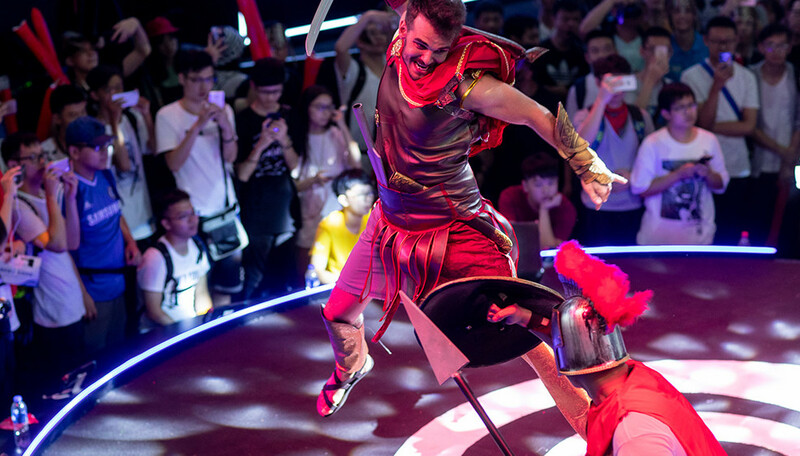 During the event's first two days, Ubisoft’s New Retail (offline to online/O2O e-commerce) saw merchandise sales of 664,000 RMB, which topped last year’s four-day total of 500,000 RMB. Estimated four-day sales for 2018 were close to 1.5 million RMB. In addition to these success metrics, the incredible Ubisoft exhibit experience was honored by CEI Asia's Event Marketing Awards with three awards: Gold for Best Trade Show; Silver for Best Integrated Marketing; and Bronze for Best Creative Idea.